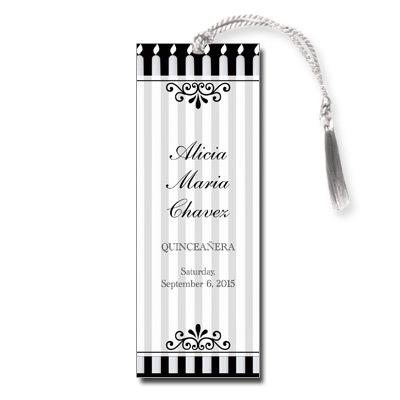 Give your guests an elegant keepsake for your daughter's Quinceanera with this sophisticated black and white design. A row of candles decorates the back of the bookmark, while a slightly transparent white box frames your personalized text. Bookmark measures 2x5.5 and comes with white tassels; light assembly required.